As Jalopnik’s resident car buying expert and professional car shopper, I get emails. Lots of emails. I’ve decided to pick a few and try to help answer your burning car-buying questions. This week we are talking about buying a service contract to get a loan on a used car, cosmetic damage on CPO vehicles and doing a private trade with an outstanding loan. First up, do lenders make service contracts mandatory for an “older” car? I purchased an 08 CR-V (85k miles, 1 owner) financed through Capital One. I feel I got what I wanted on the purchase price and them buying my old beater Civic. The finance officer at the dealer said that to process the loan since the car is older, Capital One required a service contract. I asked if it was 100% necessary to secure the loan and he assured me it was, so we proceeded. I cannot find anything on the web saying that is the case. As a single father of 2 kids, whose family owns an auto shop I find it unnecessary to add other costs, and frankly do not trust dealers, and service contracts. Any insight on that? You are generally not required to buy an auto service contract when you buy a car. You also are generally not required to buy a service contract to get financing. If the dealer tells you that you have to buy a service contract to qualify for financing, contact the lender to find out if this is true. Some people have had trouble canceling their service contract after learning that the lender didn’t require one. Also beware of unscrupulous dealers who may try to include an auto service contract in your loan without your consent. If you see a charge for a service contract that you didn’t agree to, tell the dealer to take it out before you sign the loan agreement. Of course, you will want to contact Capital One auto financing, but chances are this dealer was not honest with you when they said it was “mandatory.” This is one of the many reasons why car buyers should come pre-approved with their own loan before purchasing a used car. 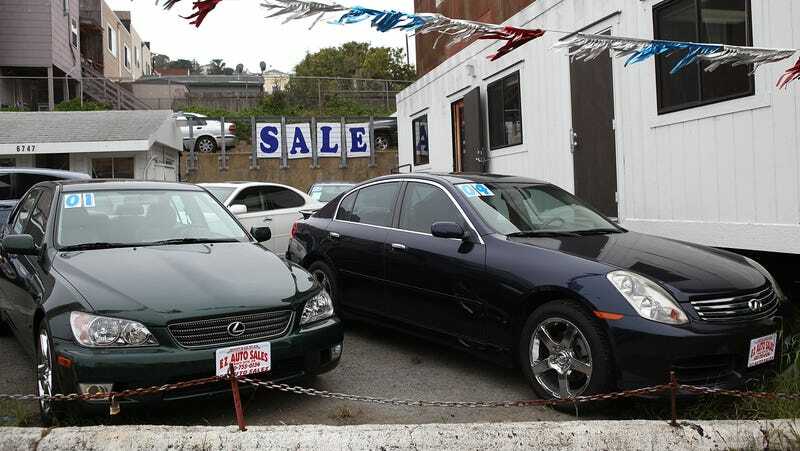 Next, does a certified pre-owned car guarantee against cover cosmetic defects? I just bought a pre-owned dealership certified GTI and noticed the next day the body has a few dimples to the tune of $1900.oo bucks according to my local body shop. One VW expert told me that if I go to small claims and, win or lose, getting the car serviced in the future will be a nightmare. The bad news here is that it comes down to phrasing. You said this car was “dealership certified” which is very different than manufacturer certified. However, a car can have cosmetic issues, some of which may be glaring, and still qualify for a CPO program. This is why even with a CPO a pre-purchase inspection or at minimum a good visual inspection coupled with a test drive is necessary. You may want to get a local consumer protection attorney involved to see if you have a case regarding the paint. It’s possible there is a defect at the factory and the warranty would kick in. Also, I’m not sure how your service would be impacted by a lawsuit, especially if any service issue was not related to the paint. I guess a dealer can refuse your business but if it’s warranty work that would be covered under the VW CPO, then the dealer could end up in a sticky situation with Volkswagen. And lastly what if you have two parties that want to trade cars but there is still a loan balance on each? I have a friend who has a car he wants to sell to get a smaller car for his daughter. He saw my car and asked if I would be willing to do a trade. He still owes payments on his car and I still owe on mine. How can I legally trade these cars ? With it in writing. It would be great if it were that simple! You may be able to contact the bank to see if someone else can take over the payments. However, it’s likely the case that this transaction needs to be done in the usual process for buying a car, meaning that each buyer would need to secure their own loan and then purchase that car from the seller paying off the remaining balance and starting fresh with payments.